Join us in League of Angels to celebrate the Easter holiday. 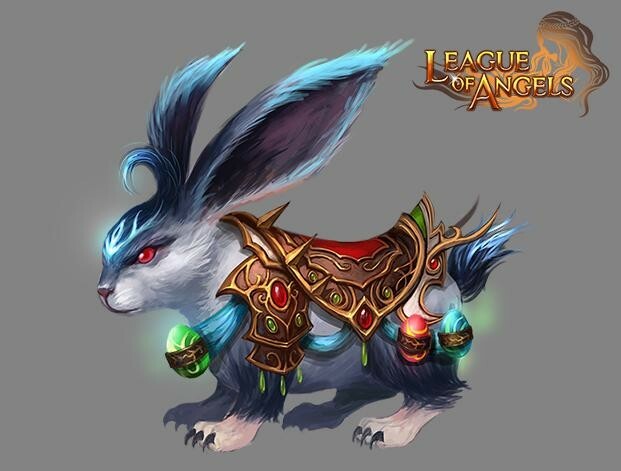 The brand new Easter Bunny mount is going to make you cooler than ever, and is only available this time of year. Enjoy the fun of smashing Easter Eggs. How to get Easter Bunny mount? You can collect Magic Hammers to smash Easter Eggs to get the brand new Easter Bunny mount. Get Magic Hammers by participating in the daily events or purchasing with Diamonds. Smash the Easter Eggs in the event menu with Magic Hammers, and you will have a chance to get Blessed Stones, Seraph’s Stones, Element Dust, Cherubstones, Gem Essence, Magic Socket Rod and many other precious items. For each egg smashed, you will get 1 point. Each day, Top 20 smashers with at least 30 points will get extra Refinement Stones; Top 20 smashers with at least 60 points will get extra Element Dusts. How to get more Magic Hammers? More exciting events are coming up through April 17 to 20. Check them out in the in-game How Events menu now!